The Millicent Golf Club Ladies hosted the Cormack Salver on Tuesday 6th June. 30 Ladies from participating Clubs, Casterton, Mount Gambier, Naracoorte, Penola and Millicent were invited to play a Stroke Competition. Each Club submitted 2 teams of 3 players. The Players were greeted with a beautiful day for golf, and thanks to the Greenkeeper and his volunteers, the Course was presented in immaculate condition. A scrumptious luncheon supplied by the Millicent Golf Club Ladies followed play. 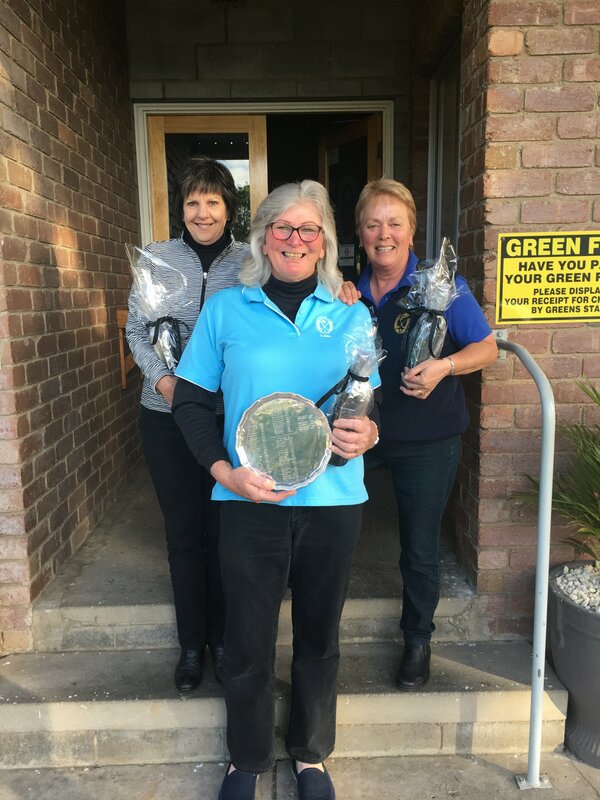 The Cormack Salver was won by the Millicent Team of Sue Agnew, Lana Barlow and Julie McKenzie with a score of 227. Lana Barlow of Millicent had the best Stroke score of the day with a 73 off the stick and Marlene Bull from Naracoorte won the best nett with 72.